Purpose University approves that each one of these startups went through one-on-one course work related to their purpose in life. We believe that they are honest, hard working, and will do their best to provide their purpose-driven startup for your 100% satisfaction. 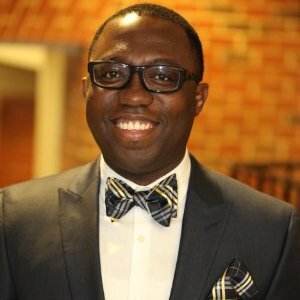 David Opoku, MBA graduated at the Durham, NC Campus, June 2016 and now runs a nonprofit youth ministry called "Eternal Bliss"
Patrick Stevenson is currently a UNC-Pembroke student who graduated from Purpose University (Online) May 2016 and now runs a freelance marketing business called "The Brand Man." ​James Hamilton is currently a Duke University student who graduated from Purpose University (Online) August 2016 and now runs a consulting firm called "The Hamilton Group"
Telvin Debnam, MPA graduated from Purpose University (Online) April 2016 and runs a nonprofit called "A+ Squash" in Atlanta, Georgia that improves youth academics through sports. Nicole Jones is a March 2017 graduate of the Purpose University Incubator Online. Nicole now operates a nonprofit called "Divine Girls". Their mission is to utilize music, motivation, and coaching to help young girls build positive self images. Guy Cine is a September 2017 Online graduate from Pennsylvania. Guy now runs a mentoring program through is nonprofit Disciples of God International Fund. Mrs. Connie Omari, LPC is the founder of Ladies In Training (LIT). LIT is a nonprofit in Wake County NC that provides ladyhood Rites of Passage Camps, Courses, and Books. Sherry Hill founded Real Simple Things after escaping homelessness after two years she continued caring and showing compassion for those in need . Real Simple Things was founded to assist homeless people in achieving peace of mind and starting a new life they can enjoy. Pierre is the founder of Invisionphotoworks, an artistic expression company that serves Black, Brown and other vulnerable populations in finding self-love & community through imagery. Dillon is the founder of Legal Rep Now which is a company that utilizes community connections to assist African American criminal justice involved youth, young adults, and their families in finding legal protection through education and support. "Purpose University helped me to craft my nonprofit purpose proposition statement, website, and e-commerce strategy in 24 hours. Dr. Drakeford can help you to do the same." "Purpose University assisted me with getting my business off the ground with their expertise and knowledge. They provided me with the necessary tools to succeed in the business world." Purpose university definitely has great programs that are very informative. I have learned so much in less than 2 weeks! The tuition is non expensive so it makes it affordable for college students as well as working moms. If I had to rate the program I would give it a 10! "